The inspiration of this jacket has been taken from recently released film Spiderman Homecoming in which Tom Holland debut in the Marvel Cinematic Universe. We have designed this Spiderman leather jacket from his stylish movie costume to offer them an opportunity to replicate the looks of their iconic superhero. 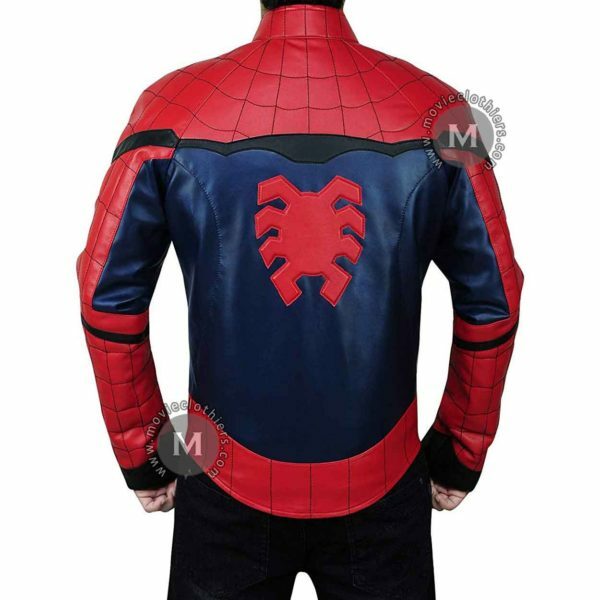 This Spiderman homecoming jacket is made up of high-quality leather material for long-lasting. Our experts have also featured details like a stand-up collar, front zipper closure, and unique outlook to turn it into the masterpiece! Awesome! 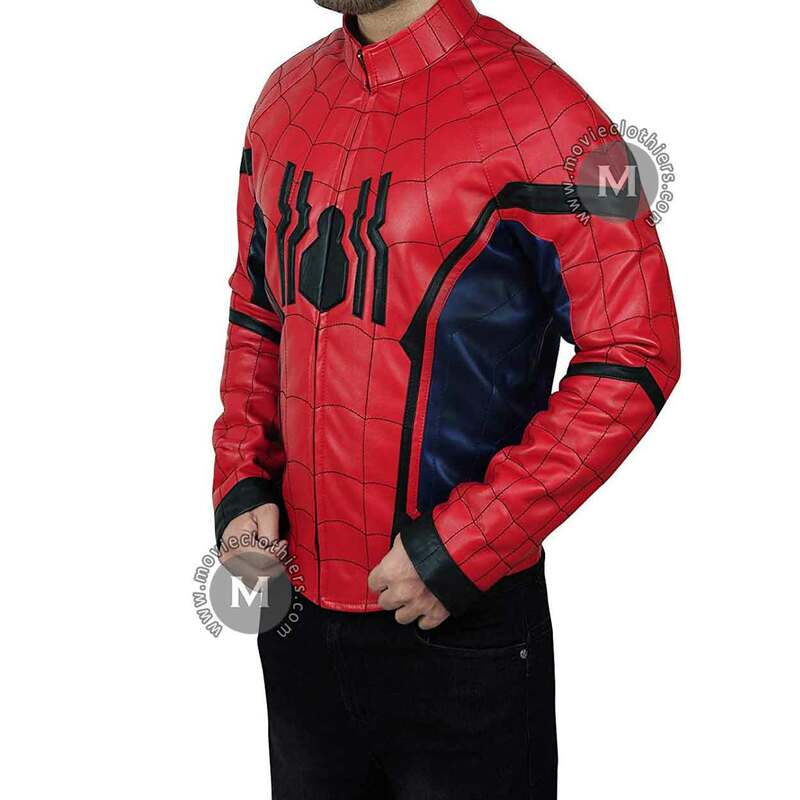 can’t be more happier as a huge Spiderman fan. 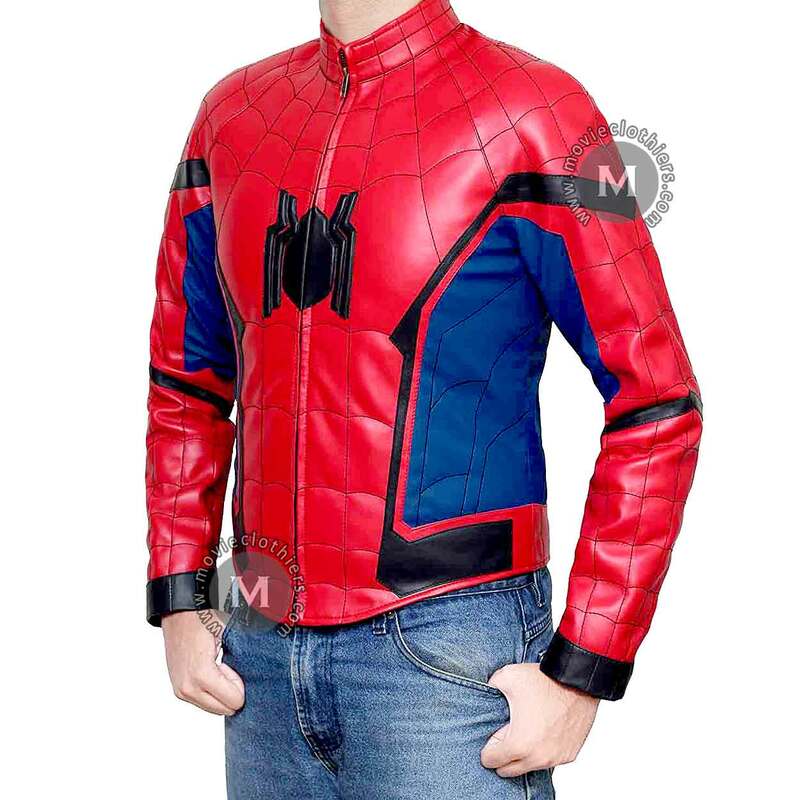 Tbh I was worried when i first decided to order the jacket, but it came out as a perfect shopping experience. Beside high quality this jacket has a beautiful look and soft feel. 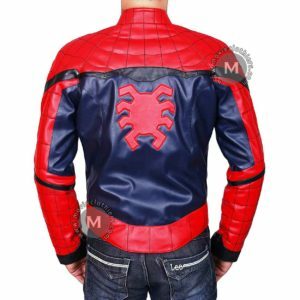 Many of my friends asked me “where do you bought this jacket” i highly recommend it. Amazing product, great quality, and perfect fit. I get lots of compliments on this Spiderman jacket. 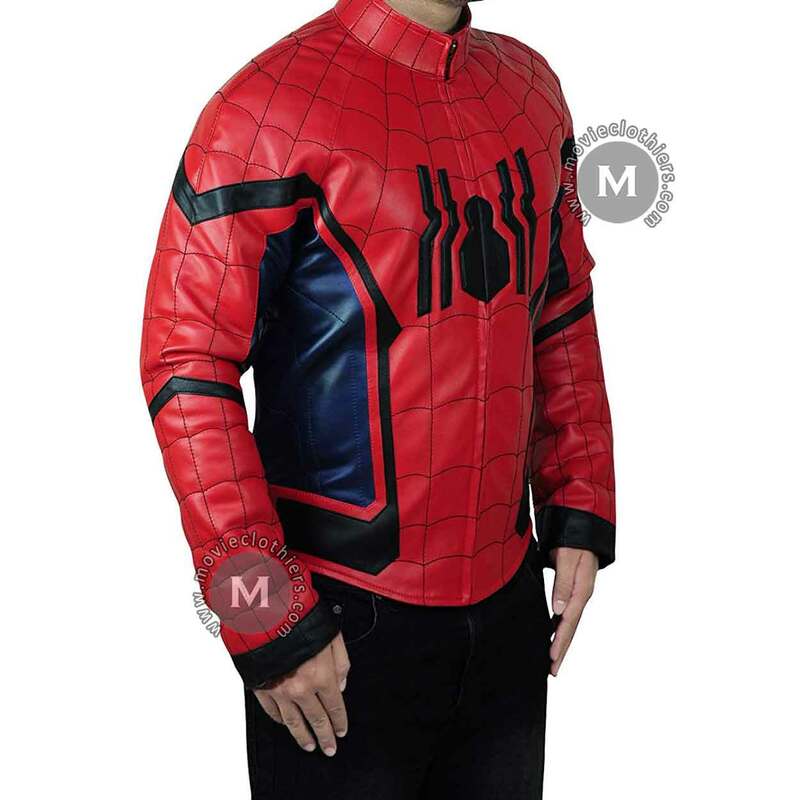 However, it’s not accurate to the movie costume but still looks awesome. 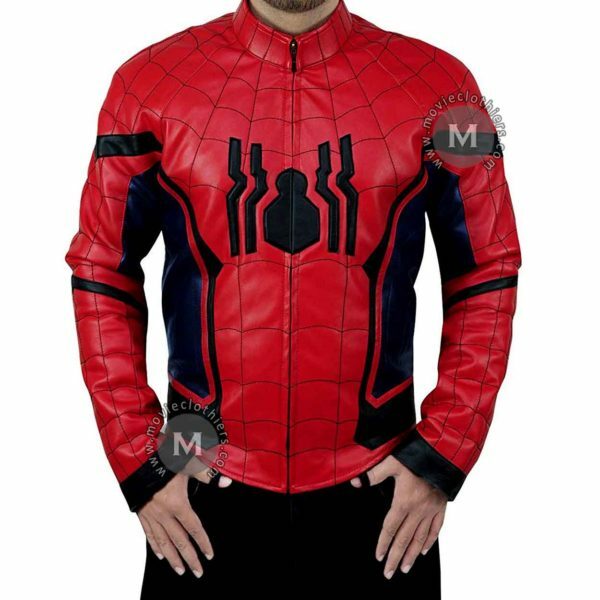 The shipping was fast too, I needed it before Halloween party and thankfully arrived before scheduled date.